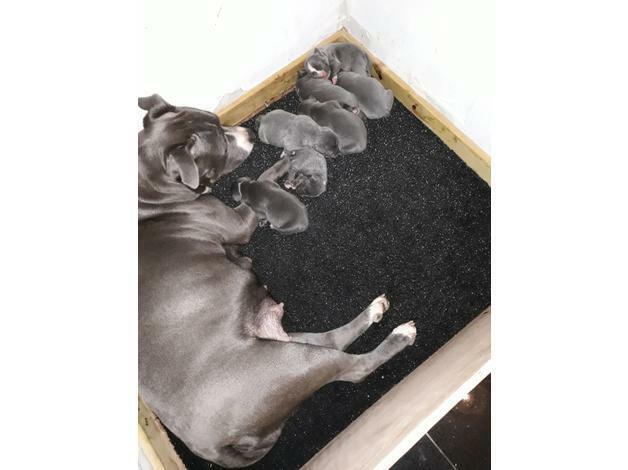 We are very proud to announce the arrival of our family pet Cleos first litter of puppies. There are 6 girls & 1 boy. Born on 15/04/18. 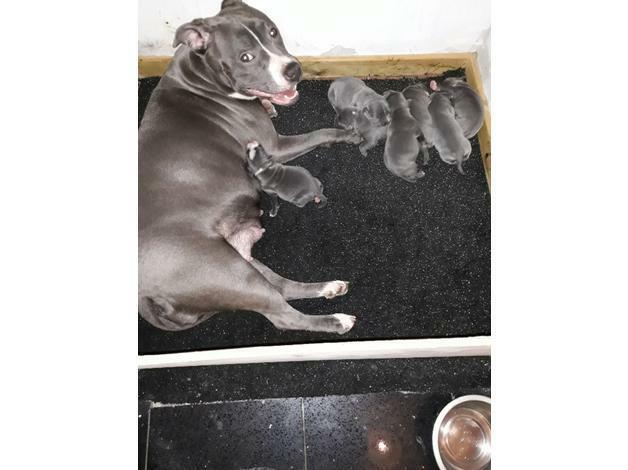 Dam & sire are both blue, kc registered staffordshire bull terriers. Pups will also be kc registered. 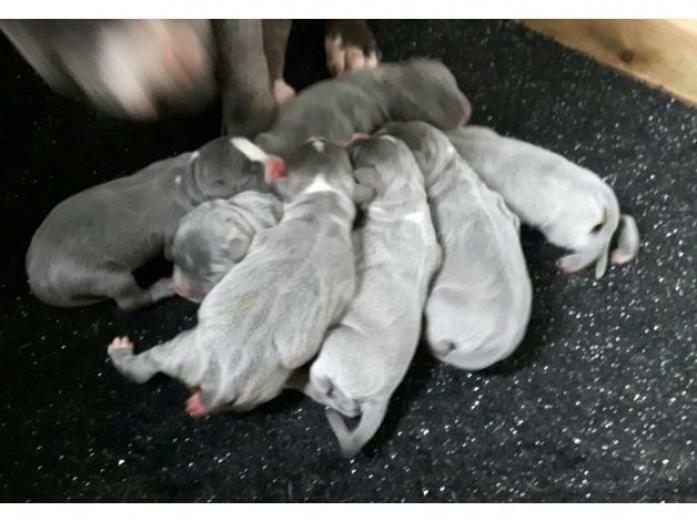 Pups will be flead, wormed, vet checked, microchipped & will have first injection. Pups will always come with a puppy blanket. Cleo is a lovely natured dog who has been brought up in our family home with children, the sire is also lovely natured again brought up in a family home with children. Dam can be seen & I have pics of the sire. Our pups will be ready for there forever homes on 11th June. £250 non refundable deposit will secure your puppy. Balance to pay on collection. Girls are priced at £1200. Dog is priced at £1000. Copyright 2018, Dog Breeders Gallery UK. All Rights Reserved.